The horizon separates the earth from the sky, and in some ways, the physical world from the dream world. The two nestle closely here, and the closer the dream rests by the reality, the more you know you are home. 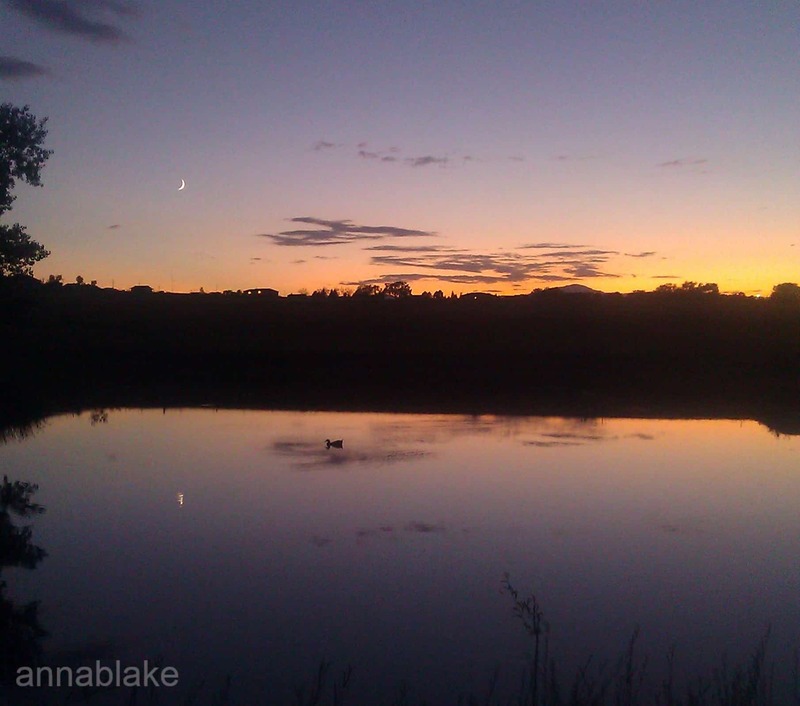 Sunset over Infinity Pond, with a toenail moon and a narrow view of Pikes Peak, if you know just where to look. Our little farm is a humble place, but Mother Nature, not so much. ← The Day of the Dead: Barn Version. Stunning shades of indigo – love the tiny silver sliver of moon! You and I are both blessed with lovely home barns. So calm and peaceful. I love it.